Gamers today have the most realistic basketball games, series like NBA 2K and NBA Live impress fans every year. But back then, there was a basketball title that many played for fun. We’re talking about NBA Jam, the basketball game published and developed by Midway in the early 90’s. NBA Jam was not the first basketball game to feature 2-on-2, other releases had already given gamers a preview. But NBA Jam was the first game to bring mainstream success to these sports titles. The 1993 release was a hit for the game developer and it quickly became highest earning arcade game of all time. NBA Jam was a little different from most basketball games at the time because it brought funny and fast gameplay. The game developer later released other sports titles with similar gameplay. NBA Jam did not feature 5-on-5 games, instead, it had 2-on-2 basketball. The game was also one of the first to feature NBA teams and players. What made the game so fun were the plays you could make and how high you could jump to make a dunk. The game did not stop as there were no fouls or free throws. The only rules were the 24 second clock and goaltending. Since there were only two rules, players could push and take the ball from the opponent without being called for a foul. NBA Jam also had a feature in which the player would become ”on fire” if he made a few baskets in a row. This feature gave players a higher chance of making a basket and unlimited turbo. The first arcade version features team rosters from the 1992-1993 NBA Season and the console versions had an updated roster, with rosters from the 1993-1994 NBA Season. Rosters were also updated with the release on other consoles. The success of the first game brought other NBA Jam titles, including NBA Jam Tournament Edition. The game featured updated rosters and has similar gameplay to the first release. This version did bring new features, such as 3-on-3 games, with one player as a substitute. The game was later released for the Super NES, Game Boy, PlayStation and a few other systems. The series continued with games like Jam Day, which featured a number of secret characters. In 1996, the popular series returned with NBA Jam Extreme, a 3D version published by Acclaim. Midway had also released a game called NBA Hangtime, which gave gamers the option to create their own players and a similar but improved gameplay from earlier NBA Jam games. Midway’s game had better reviews that year and an updated version called NBA Maximum Hangtime was later released. A year before NBA Hangtime and NBA Jam Extreme, Acclaim released a version of NBA Jam but with college teams. The title called, College Slam, did not have the same success as the first NBA Jam games but was a good option for college basketball fans. The latest releases were not as popular as past titles but Midway had bigger plans to catch the attention of gamers and fans of other sports. The game developer included this idea in other sports games, including hockey and wrestling. Midway also released other basketball games with many of the features from earlier games. Acclaim also released other NBA Jam games for consoles but they were not as popular as the first games. Midway then began releasing games for consoles and the idea was used once again on football, hockey, and baseball games. Many of the features and gameplay returned for NBA Ballers, a basketball game released in 2004 for the PS2, Xbox and GameCube. In 2010, an NBA Jam title by EA Sports was released for the Wii. The game was released for the Xbox 360 and PS3 a month later. The original NBA Jam creator returned to work on this version and the game sold well and received good reviews. 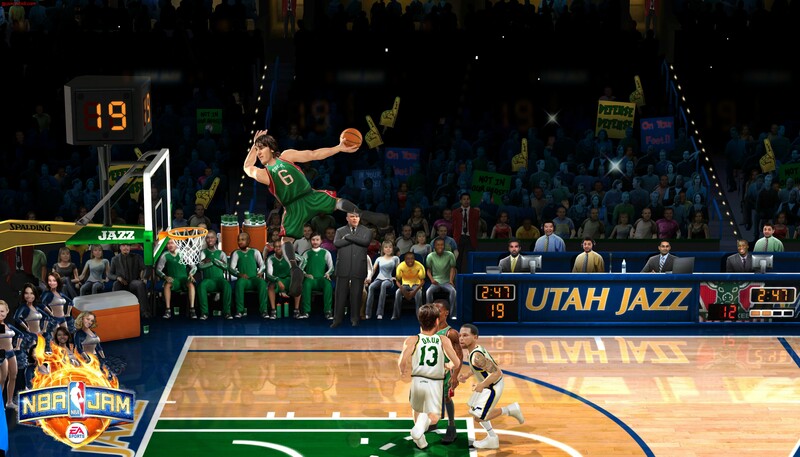 The Xbox 360 and PS3 would receive a new version called NBA Jam: On Fire Edition a year later. That was almost five years ago, so where is the series now? 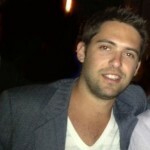 The popular series last made an appearance with EA Sports, the game developer behind games like FIFA and Madden. But it’s been a while, so fans are waiting for a new NBA Jam to arrive on the PC, Xbox One, PS4 and Wii U.
EA has not confirmed a new game though, despite the rumors in the last two years. An NBA Jam return would be good for fans but the title would face strong competition with NBA Live and NBA 2K, even though they focus on realistic basketball. NBA Jam is still talked about in sports culture, with many game announcers and commentators using the popular lines from the game. Have you played the latest NBA Jam game? Are you waiting for a new NBA Jam game? Let us know in the comments. 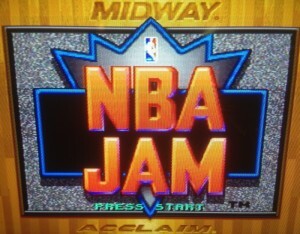 Yes I still play NBA JAM OFE all the time with my friends online. And yes we are all waiting for a new NBA jam game for Xbox One and PS4.. LETS GO EA!!! I would love to play you in jam, But i play on xbox not ps3. But I wanted to know. How many jammers are on ps3 on a given day? Is it hard to find a 2 v 2 match? Because i don’t play 1 v 1. And is NBA JAM backward compatible on the PS4? Waiting desperately for a new Jam! I play weekly on PS3 , NBA Jam OFE online is such a great game. We need a new one! Lets Go! I want NBA JAM for PS4 damnit!!!!!!!! Let’s Go!!!!!!!! Any update for ps4 or One? We are waiting guys! I wish the NBA Jam On Fire Edition was at least released on the PC. But really, they should release a new one for PC and current generation consoles (until then, one can at least play the Xbox 360 version on the Xbox One’s backward compatibility catalogue). i love basketball but i hate the nba 2k/live ‘simulation’ games. don’t make me learn a billion different controls to do something. i just want to jam. The fact that we havent gotten a proper NBA Jam game in this long is criminal. I STILL play T.E. on my SNES regularly and would jump at the chance to have todays rosters available. I know that someone just released a hack to mod the game for 2017 rosters, but it’s not the same without substitutes. Each team should have 5 players to start and expand to 8 when you win a season mode. As a Timberwolves fan, I would love to see Towns and Lavine, or Rubio and Muhammed or Wiggins in a Jam game as my hometown roster. Please someone get on this. Like next week.